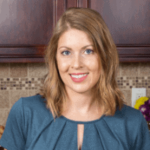 Published: Aug 6, 2018 · Modified: Apr 11, 2019 · By Jen Sobjack · This post may contain affiliate links. 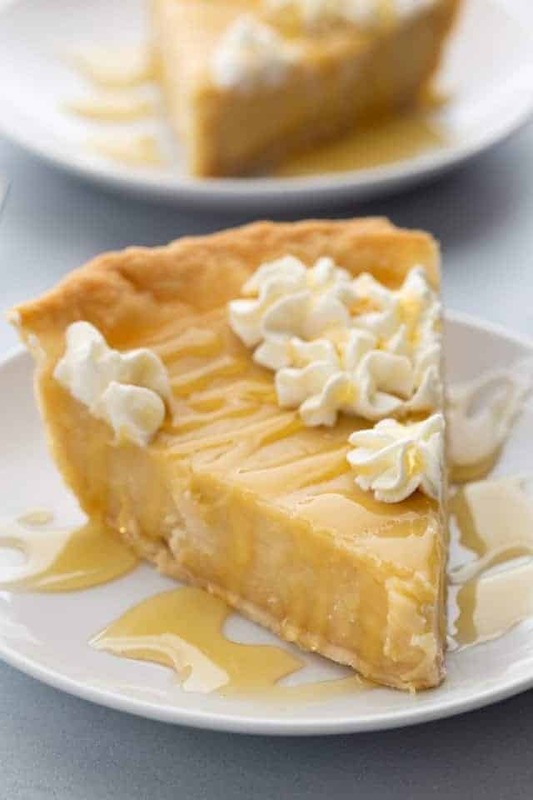 Honey Pie made with creamy honey flavored custard nestled in a crisp, flaky crust. 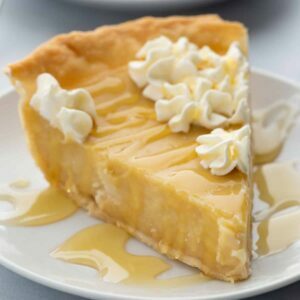 The filling is cooked on the stovetop then poured into a prebaked pie crust for a foolproof honey custard pie. There’s just something about cool, creamy custard that gets me every time. It’s a weakness and I’m drawn to desserts that have a custard filling. Apple raisin custard pie, bunuelos with anise filling, profiteroles, and eclairs are all some of my favorites on the blog. I’ve decided to start making more of what is requested in my community Facebook group and this is the latest result of that. I’d actually never heard of honey pie before until recently. After some research, I learned that Momofuku Milk Bar has a salt & honey pie but my version isn’t even close to being similar. The pie I bring before you today has a silky custard filling that is flavored with honey. It isn’t fancy at all. It’s just a simple pie for all honey and custard lovers. Can honey pie be refrigerated and then served the next day? 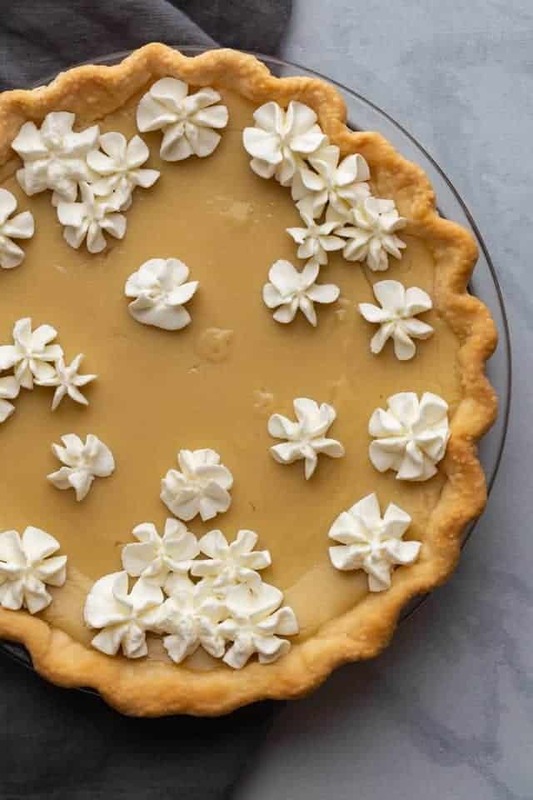 You can make this pie ahead of time and refrigerate it overnight. Most people prefer their pie to be served at room temperature but I like mine cold. If you make it ahead but want to serve it at room temperature, just set it out about 30 minutes to 1 hour before you plan to serve it. Can you use a non-dairy milk substitute for the heavy cream and milk? I do not suggest using anything other than milk and heavy cream for this honey pie recipe. The lower fat content will affect the overall texture and the custard may not thicken. What type of honey to use for honey pie? I suggest using pure honey from your local farmers market for the best taste but commercial brands such as Nature Nate’s is good as well. 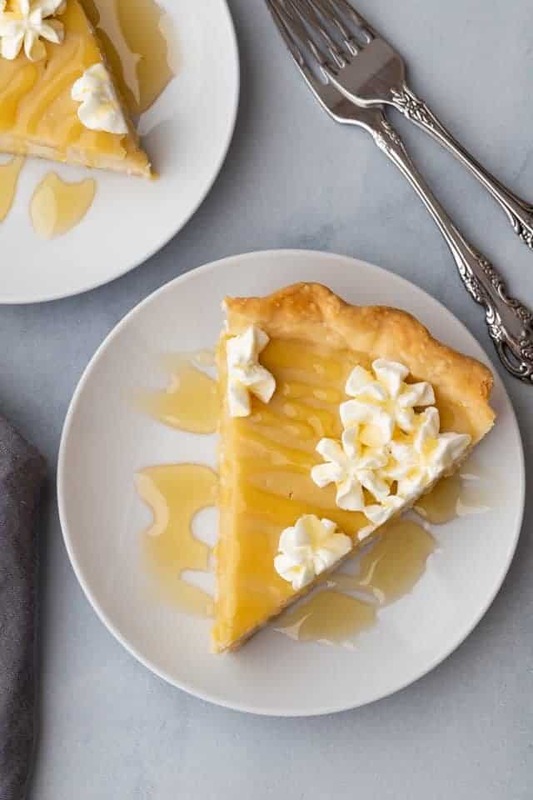 How to make honey pie? Prick the bottom of the crust with a fork. Line with parchment paper and fill with pie weights. Bake it at 350°F for 20 minutes then remove the pie weights and bake for another 8 minutes. Warm the milk and cream in a large saucepan. Meanwhile, whisk the remaining ingredients for the filling together then slowly pour the warm milk in while whisking continuously. Return everything to the saucepan and cook over medium-low heat while stirring constantly until the filling thickens. 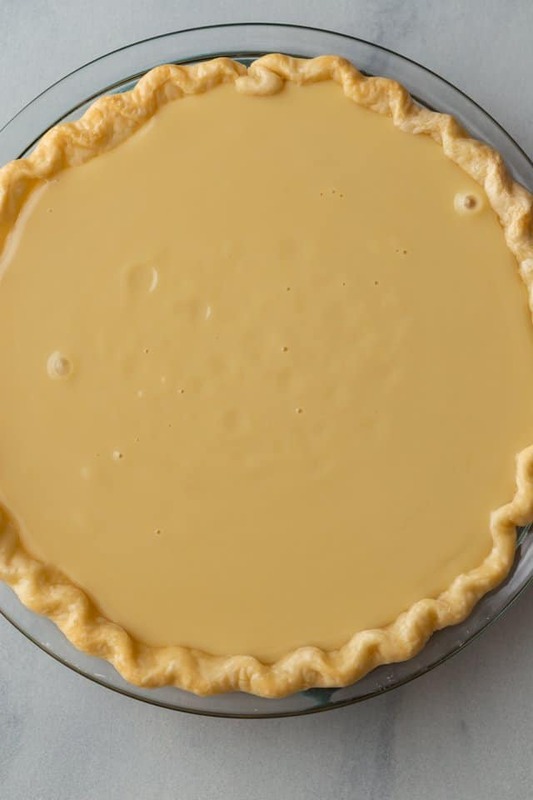 Pour the thickened filling into the hot crust and bake for 12-15 minutes, until the custard has set around the edges but remains jiggle in the center. Cool to room temperature and serve right away or refrigerate until ready to use. 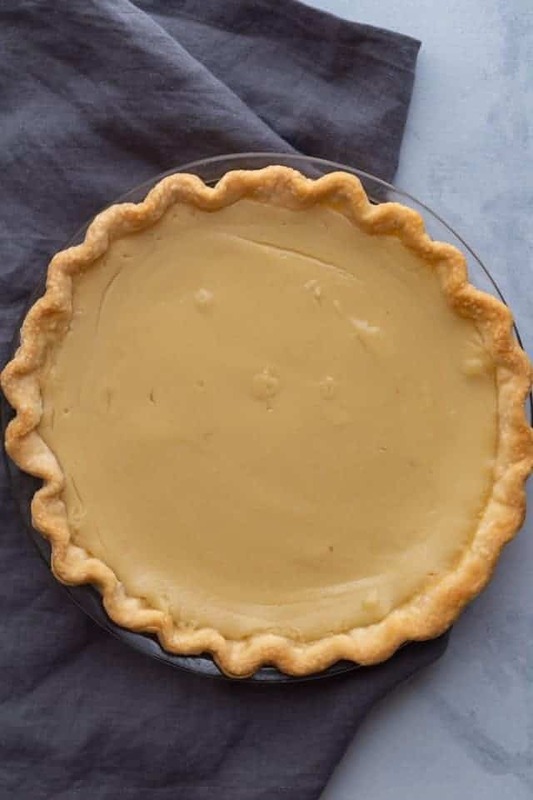 The prebaked pie crust can be made ahead but needs to be reheated until hot before adding the custard filling. You’ll know the custard is finished cooking on the stovetop when it adheres to a wooden spoon. Strain the custard through a sieve into the hot pie crust. This helps to remove any bits of egg that may have scrambled. The pie can be served once it has cooled to room temperature, about 2 hours after coming out of the oven. Or you can refrigerate the pie for up to 2 days before serving. Prepare the pie crust according to the recipe and chill for at least 1 hour. You need only half the dough so freeze the second half for use at a later date. Meanwhile, heat the milk and cream in a medium saucepan over medium-low heat until steaming. Whisk the eggs, honey, both sugars, cornstarch, vanilla, and salt together in a medium bowl. Slowly drizzle the warm milk into the egg mixture while whisking continuously. 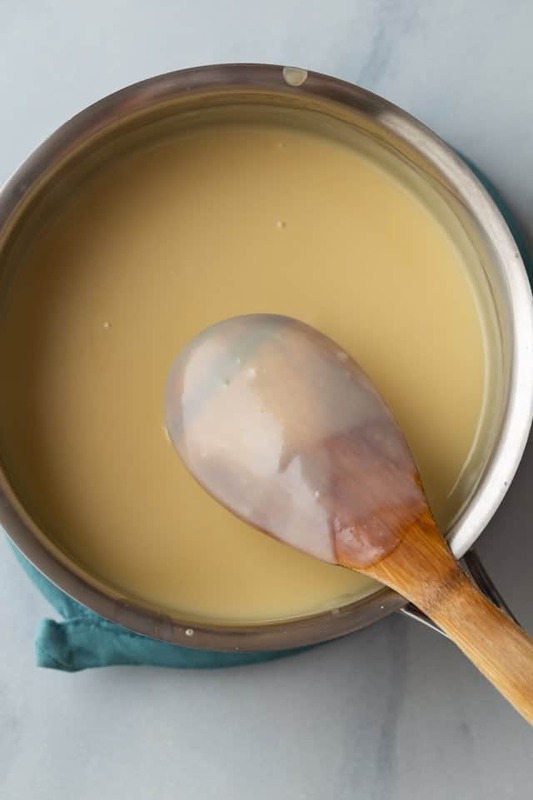 Return the mixture to the saucepan and cook over medium-low heat, stirring constantly with a wooden spoon until the custard thickens and adheres to the spoon, about 8 minutes. Turn the oven temperature up to 375°F. 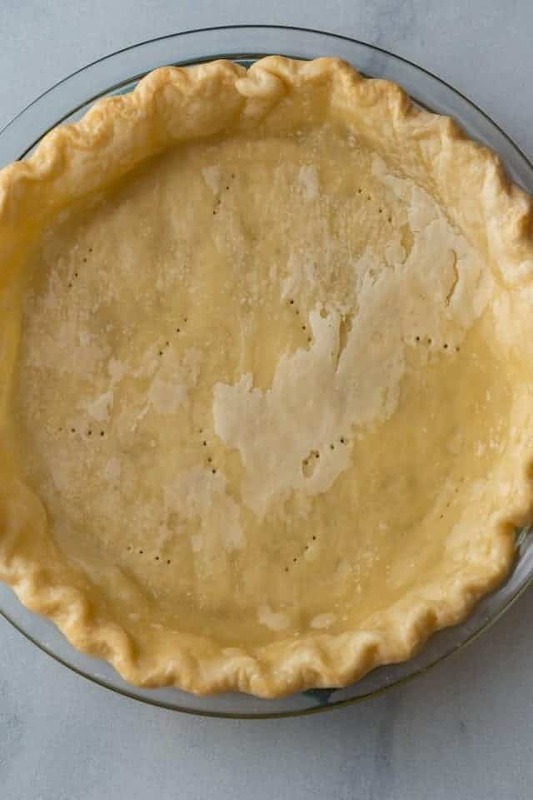 Pour the thickened custard through a fine-mesh sieve into the hot pie crust and bake for an additional 12-15 minutes until the edges are set but the center remains jiggly. Cool completely on a wire rack, about 2 hours. Slice and serve immediately or refrigerate until ready to serve. Just before serving, top with whipped cream and a drizzle of honey if desired. The pie crust can be baked ahead of time but must be warmed in a 375°F oven for 5 minutes before adding the custard. A very unique, yet simple taste! I’m trying out honey recipes since my neighbor put in a bee 🐝 hives! Took about 10 mins on medium heat for custard to thicken. Baked 17 mins to get edges firm. I prefer it cold as well. This pie is beautiful!! Excellent recipe. I’ve never thought of making custard pie with honey. It sounds wonderful though!